Defense Ministry published a Job Circular on Please see the attached image job circular for details. Military Engineer Services (MES) under the Ministry of Defense (MOD) will recruit vacancies for Various Posts for the year 2019. 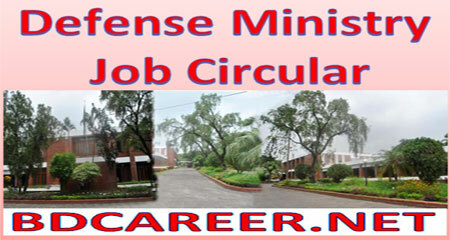 Defense Ministry Job Circular 2018. Interested and eligible Bangladeshi Citizenship Candidates are requested to Apply Online for the vacant posts. In this regard, interested and eligible candidates are taken part in the MCQ, Written Test, and Viva Voice examination. The Deadline for submitting Online Application is Please see the attached image job circular for details. (See the Particular Job Circular for Details). 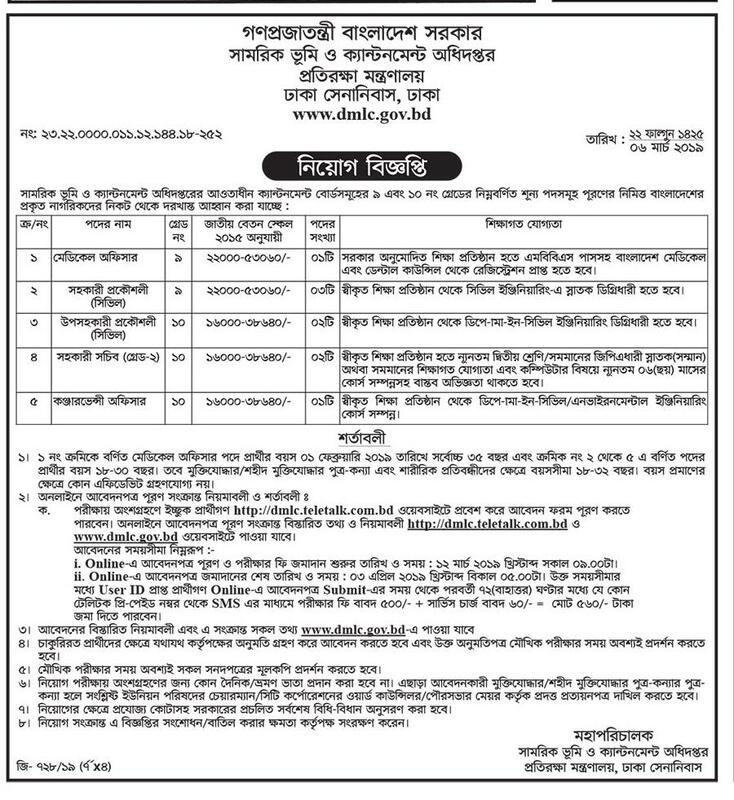 Online Application Starting Date: See the attached image job circular. Online Application Ending Date: See the attached image job circular. Interest and eligible candidates are requested to see the attached image job circular for details or to Apply Online through only the Website i.e. http://cao.teletalk.com.bd, http://sparrso.teletalk.com.bd/home.php or http://mes.teletalk.com.bd. Candidates need to be scanned passport size photograph and signature for online application. See the above Job Circular for Details. Deadline for submitting Online Application is Please see the attached image job circular for details.